Product Description: On the brink of bankruptcy in 1956, Studebaker needed a new car to survive. The result was the 1959 Lark. Designed to cut costs the Lark was kept simple. Sales in 1959 were good. In fact, it was the best sales year for Studebaker since 1950. 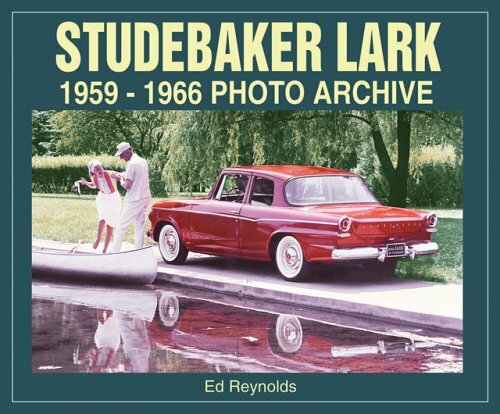 Ultimately, the Lark was not enough to keep Studebaker alive but it added years to the company's life. Lark models have continued to gain popularity with collectors and they're attractive, fun to drive and some models are fast. High quality photos and in-depth captions bring you the entire line of Larks from the first to the last.